Fresh Sales Leads and Unsolicited Qualified Inquiries are the Life Blood of any Organisation. Partner with us to increase your Lead Volumes and grow your turnover. Lead Generation: At Lead Generators we use a combination of custom developed keyword domain names from our portfolio of over 1000 domain names, and good solid online marketing to deliver excellent Quality Sales Leads delivered in real time directly to your sales people or CRM system. There is nothing quite like the prospect of a fresh sales lead that has called in or emailed in a sales inquiry to get any sales persons blood flowing . The morale and level of excitement in your sales division will be stepped up a notch as your sales people deliver higher conversions in order to be given fresh inquiries. The leads that we produce are unsolicited requests for information or product pricing much like the inquiry that you are about to make. We have piqued your interest and you want to know how we are going to be able to help grow your business, and what it is going to cost to get these New, fresh sales leads. 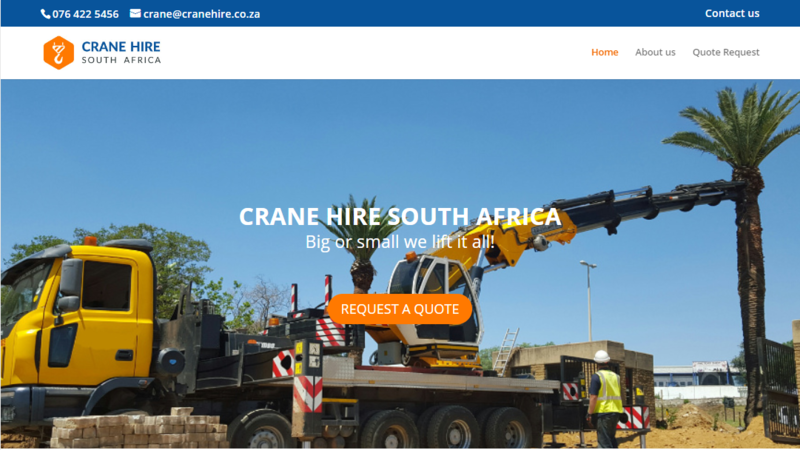 Currently generating between 60 and 100 crane hire, crane truck hire and rigging leads per month. Opportunities in all regions of South Africa. 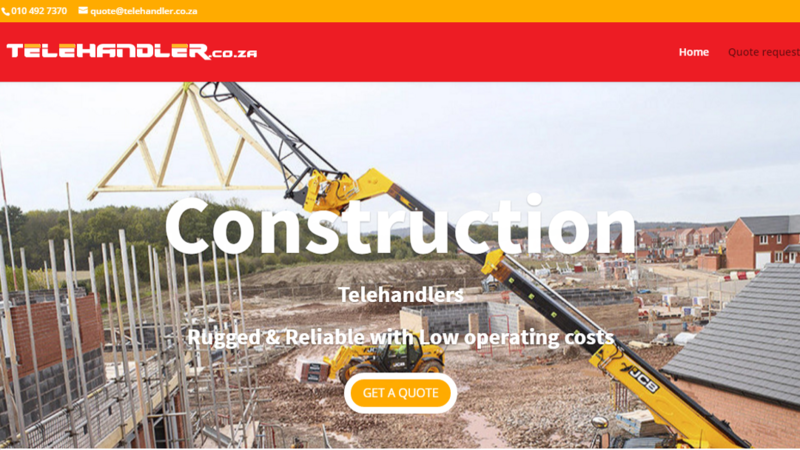 Opportunities abound in all regions for both the rental and sale of Telehandlers to the construction and Agricultural Industry. Lead generation is active. 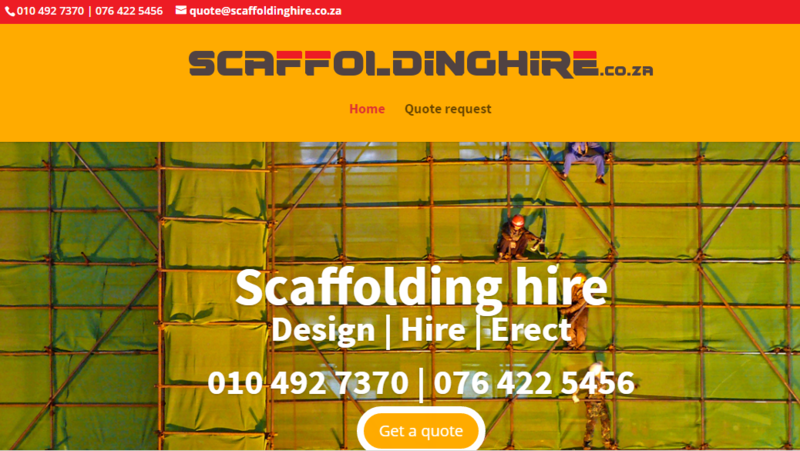 All aspects of scaffolding and access equipment offer opportunities here, from rubble chutes and movable scaffolding to steel scaffolding for all regions of SA. 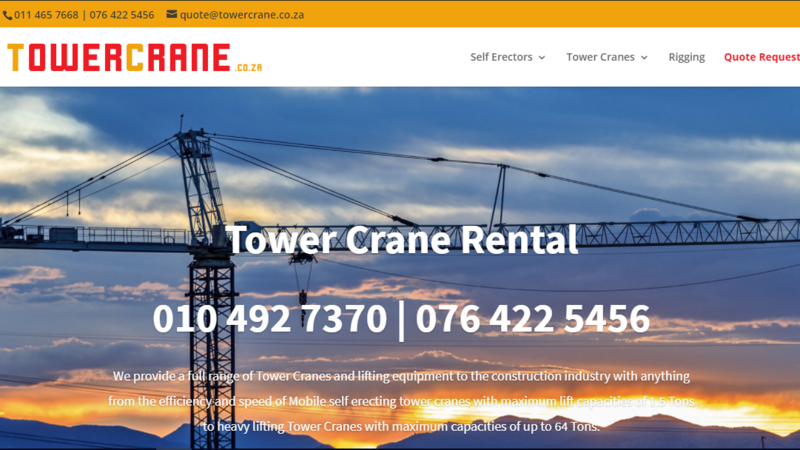 Tower crane lead generation has been active since 2012 and extends to offering the Rental and sale of Tower cranes including the erection and dismantling rigging. 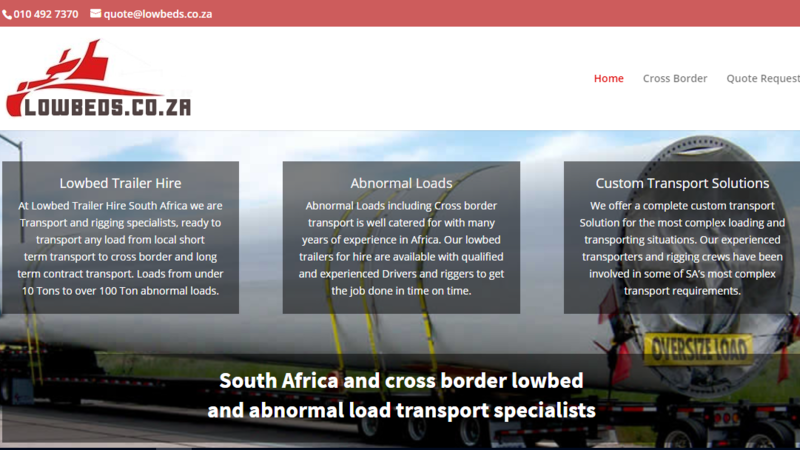 Lowbed, Cross border and abnormal load transport has shown tremendous growth over the years and the lead generation opportunities exist in all regions of SA. 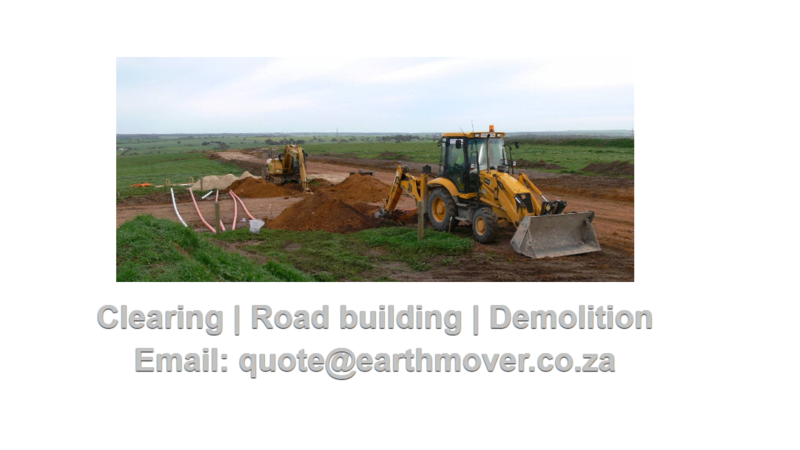 Earthmoving equipment rental and sale is an opportunity that has yet to be realised. Partner with us at Lead generators to grow your eathmoving business. Our No risk lead generation service means that you only incur a cost when we deliver a valid inquiry. Lead generators develop custom websites for your products and services at our own cost. Lead generators pay for any advertsing costs. Should you wish us to drive leads to your own website, we are here to help. A website audit is conducted and we advise on any changes required to your website in order to achieve your lead generation goals. Setup and monitoring of Online Advertising campaigns. You set the budget and we will work with what you provide. As much as 80% of consumers research online before making a purchase decision. Whether you have a retail store or are a forensic accountant, you MUST have a well designed website. We offer a full suite of website design offerings, including eCommerce development. We work with you to design beautiful websites and to focus on the delivery new customers. Let us put your website front and centre for targeted keywords. Search engine optimization is a longer term strategy that is intended to produce leads at no cost in the future by ranking your website in the organic search results. When customers search for your products and services, be on page 1 of Google. We work with Google and do not try to outsmart them. Good SEO only gets better over time.